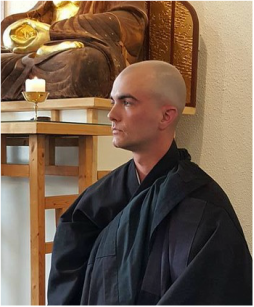 Blaire Martin is a meditation practitioner and student of the Kagyü Lineage. Lillie Wolff is a politicized healer, somatic coach, and trauma-aware yoga and meditation practitioner and teacher. 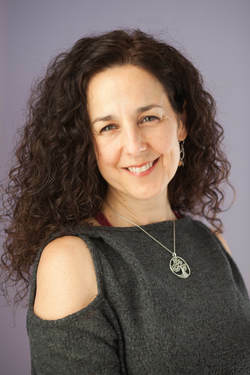 Lillie began practicing yoga in 2003 as a path to healing and recovering from trauma and illness, and integrating mind, body, and spirit through movement, meditation, and breath. She has completed two 200-hour yoga teacher trainings and a 300-hour training with her present day teacher, Melissa Spamer. Lillie has been leading group and private practices for over ten years. She is currently a Somatic Experiencing Practitioner in training through Dr. Peter Levine's Somatic Experiencing Trauma Institute. Lillie is also a racial justice educator and racial healing facilitator with over 14 years experience working toward social change. She believes all people have an innate right to heal, and that healing ourselves is inseparable from healing our communities, our lineage, and our planet. Lillie classes help counter common stress responses, rebalance the nervous system, and cultivate resilience, connection, awareness, and radical self-love. Lillie invites her fellow non-South Asian students to join her in practicing ancient South Asian yogic techniques and teachings with great respect and cultural humility.